Follow the same guide lines inspired by the original innovators (Moriyama of Japan) of kneading rubber and plastics inside a closed chamber under pressure. Our mixers provide effective mixing and dispersion for polymer compounds at an optimum horsepower input and operating temperature. The kneading takes place between the counter rotating rotor tips and the stationary chamber wall at right clearances and hard- faced surfaces. The mixing movements are channelled by the special contours of the rotor wings. The chamber walls and the rotors are kept cooled by circulation of water for compound temperature control. A pneumatic cylinder operated lid provides the required pressure for intensive mixing. Low friction mechanical type seals on either ends of the rotors and dust suction system provide cleaner surroundings. 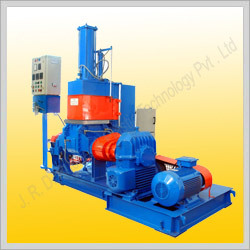 Motorized tilting gears discharge the content of the chamber at the end of the mixing cycle. Are engineered to score over the conventional mills used for mixing of polymers between 2 rotating rolls in terms of higher efficiency and improved machine life. The transmission by 3-stage helical reduction gear box connecting drive motor to the rear roll coupled with anti friction roller bearings instead of bush bearings result in a substantial reduction in power consumption. Another futuristic feature on our mills is the optional addition of hydraulic sensing circuits incorporated for roll loading records of different batches / compounds. 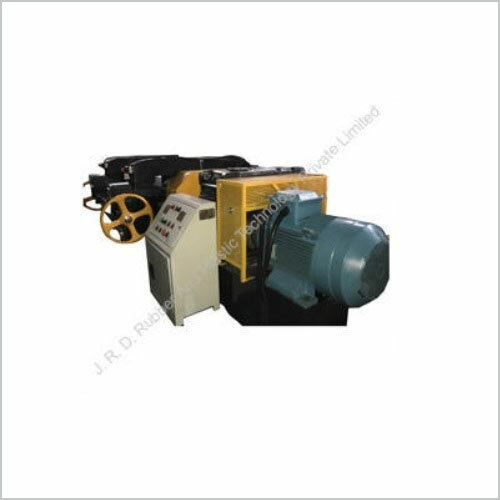 Uni Drive Mixing Mill 14'' x 36"
Hot feed extruders have proved to be the most economical forming machines for rubber from the beginning of rubber processing. 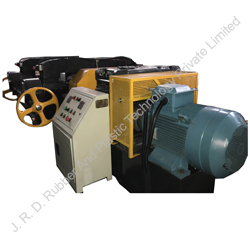 JRD Extruders are equipped with advance features which improve the efficiency. Helical gear box with inbuilt thrust handling bearing assembly and power driven feed roller assembly result in steadier, increased and uniform feeding. 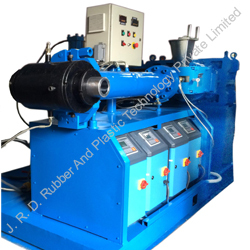 A hot feed rubber extruder fitted with a strainer die is a strainer extruder. The strainer die filters all foreign particles in the compound. These may be some compound particles higher in size than the least mesh size, metal or plastic. 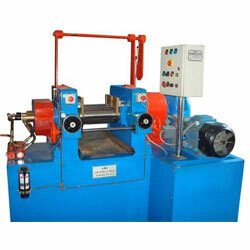 The extruder accepts warm rubber strip from a 2- roll mill. The screw conveys the compound to the die and force through the die under pressure. The hot feed extruders remain the first economical choice for straining of rubber compounds and as a feeder machine for Rubber Calenders. Strained compounds results in better physical properties of the final product. 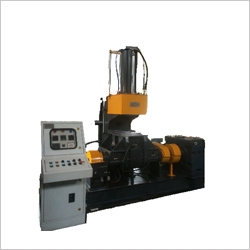 In almost all fields of rubber extrusion, the Cold feed Extruders are fast replacing the conventional Hot Feed Extruders. The elimination of the warm up mill before feeding a cold feed extruder contributes to economic sense and reduced heat cycle for the rubber compound. The Cod Feed extruders also improve the geometric stability of the extrusion. 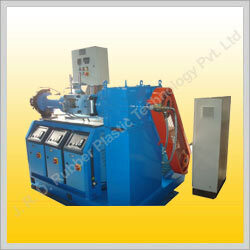 The final die pressure achievable is also 30 percent higher. Well defined zone temperature controls are possible for scroll, barrel and die head with separate circulation systems for each zone resulting in superior quality for the product. A vertical helical reduction unit, hinged feed roll assembly and pressure transducer in the head are all in tune with the latest trend. 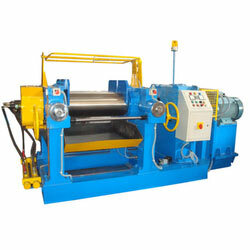 Compared to Hot Feed Extruder, the output of Cold Feed Extruder for the same size of the scroll, is much higher, resulting in reduced effective power input. Automotive Rubber & Rubber to Metal Bonded Components. Rubber Profiles/ weather Strippings for automobile & architectural usage. Synthetic & Natural Rubber Sheets for various applications.